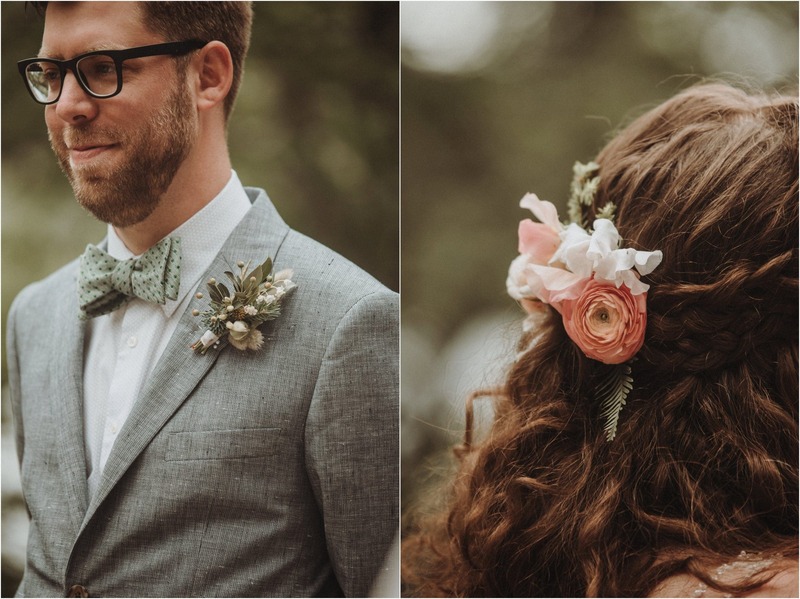 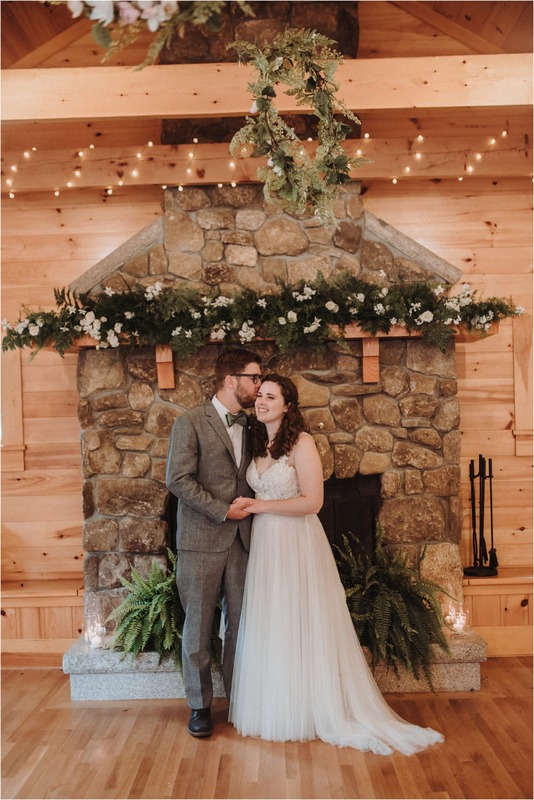 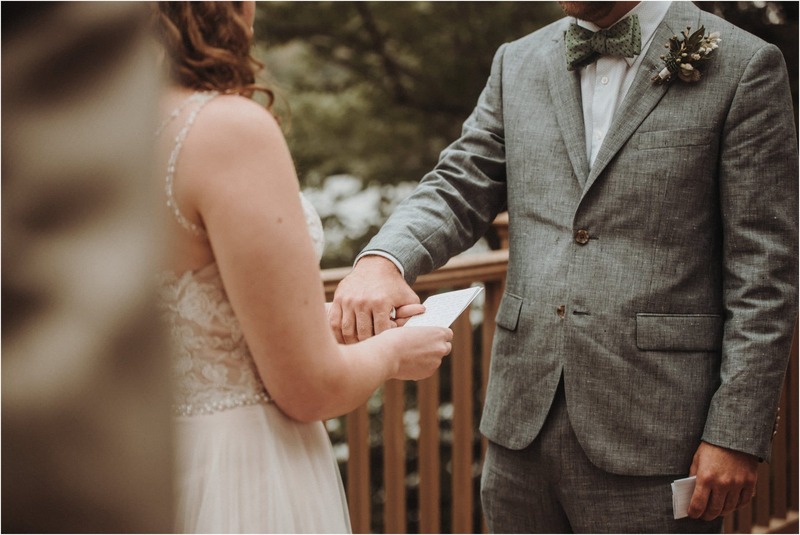 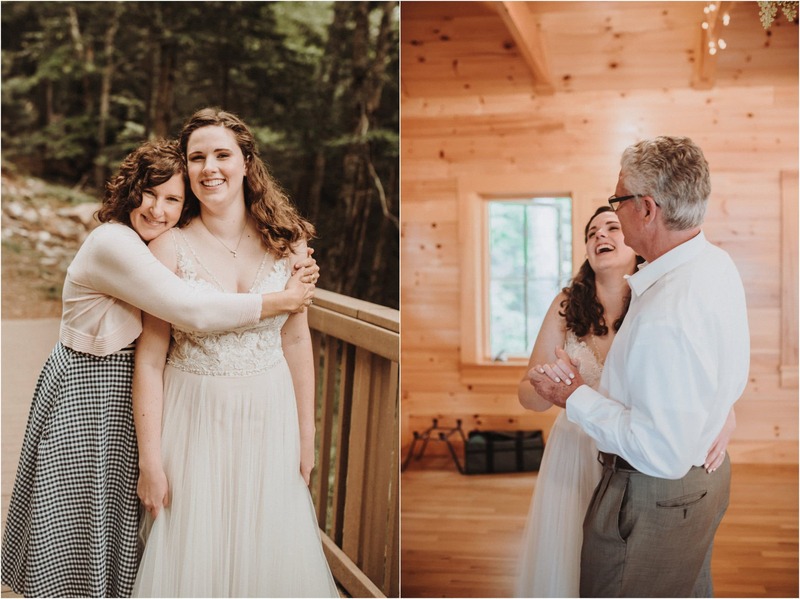 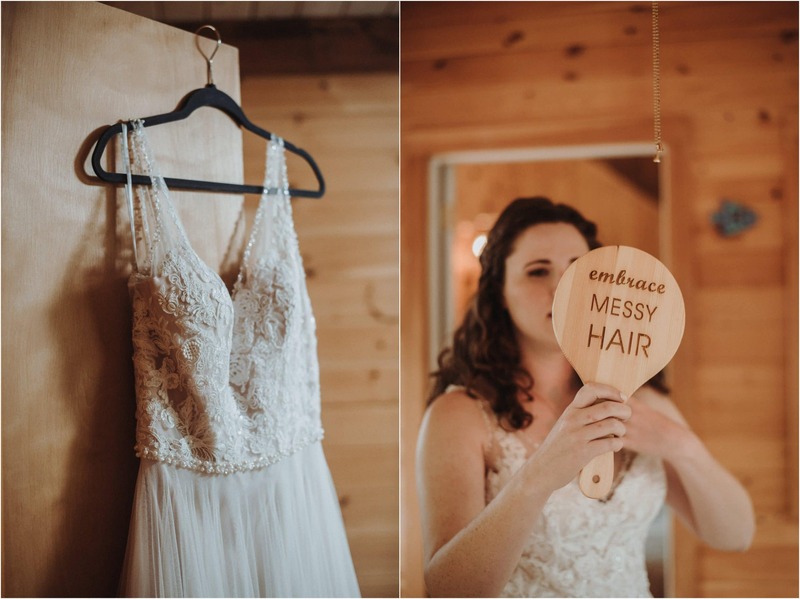 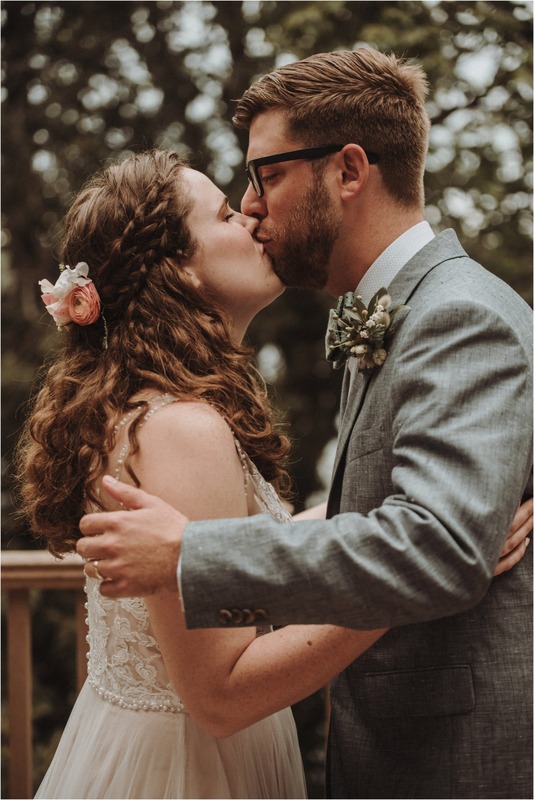 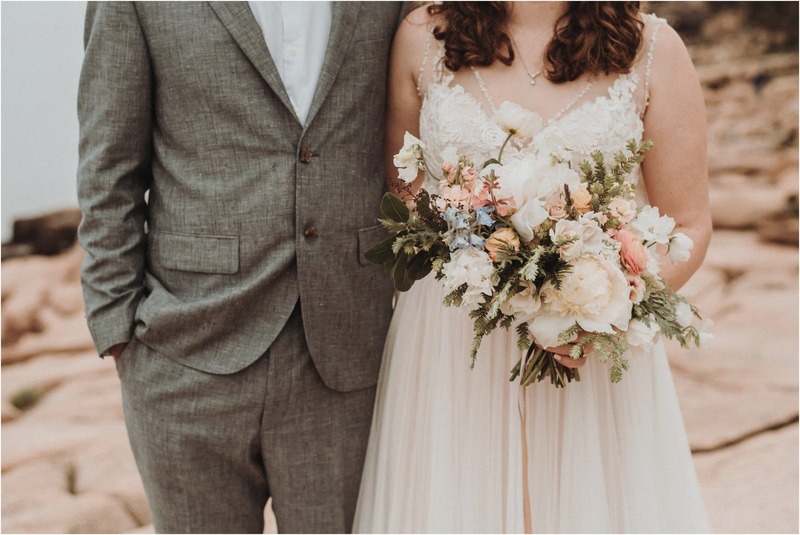 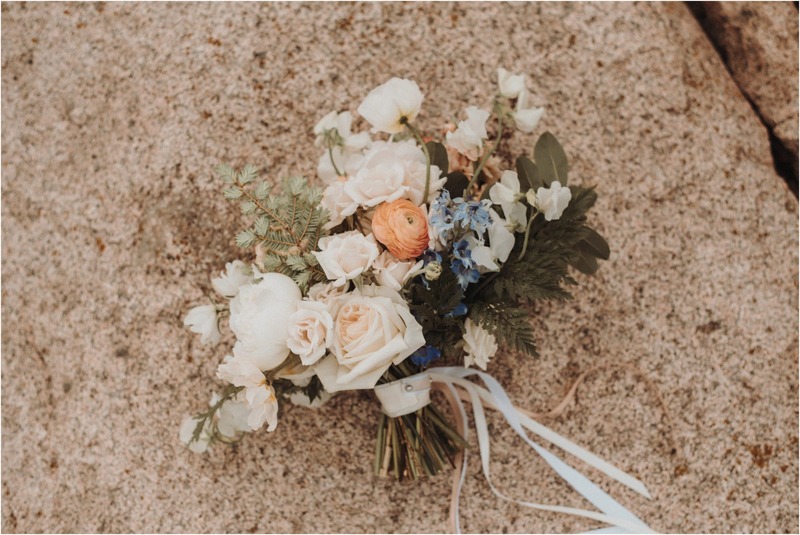 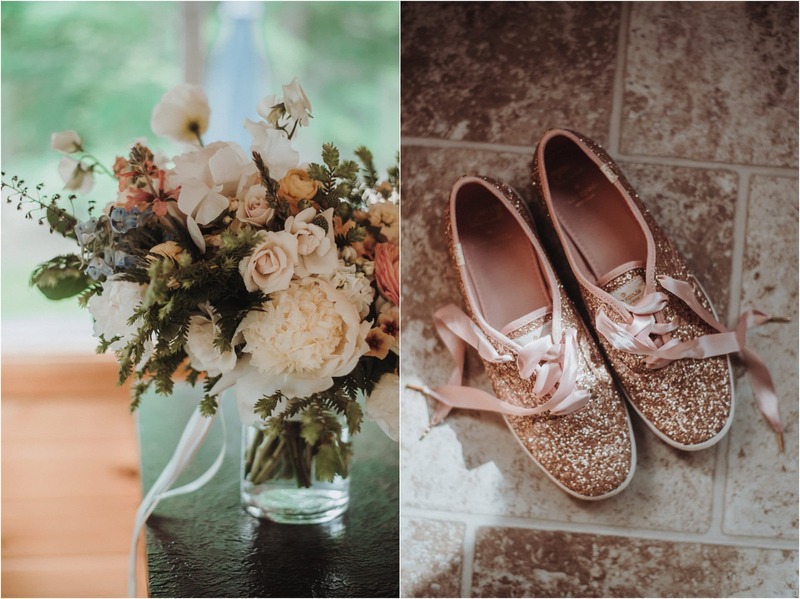 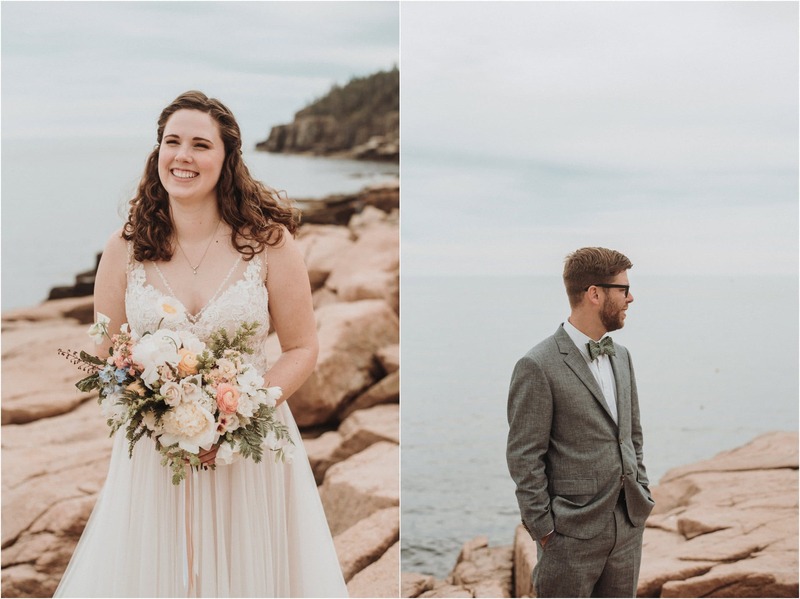 Amelia + Tim are southerners who, combined with their love for adventure and Amelia’s childhoods spent in Maine, decided to come up north to share their vows. 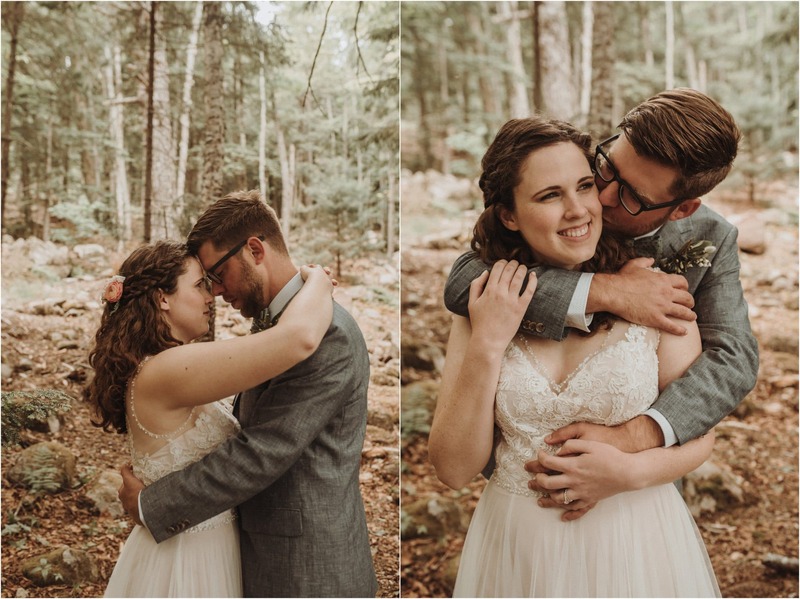 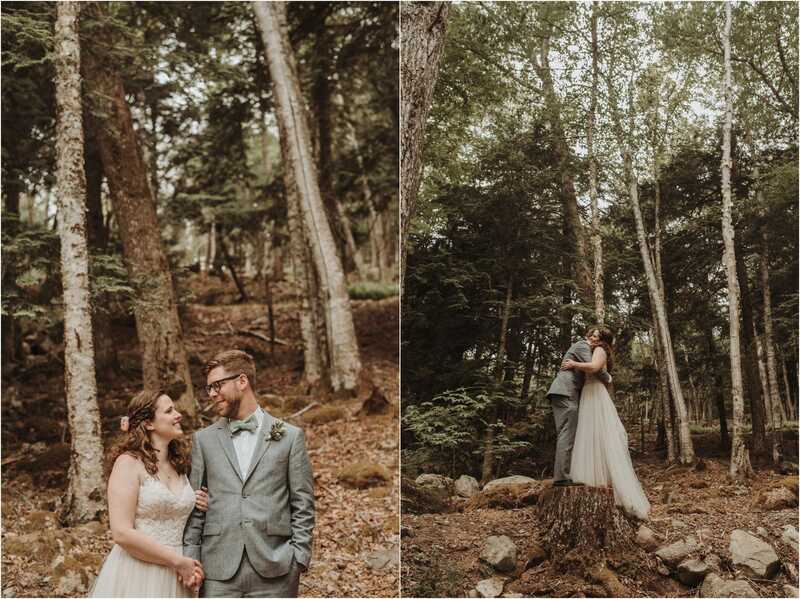 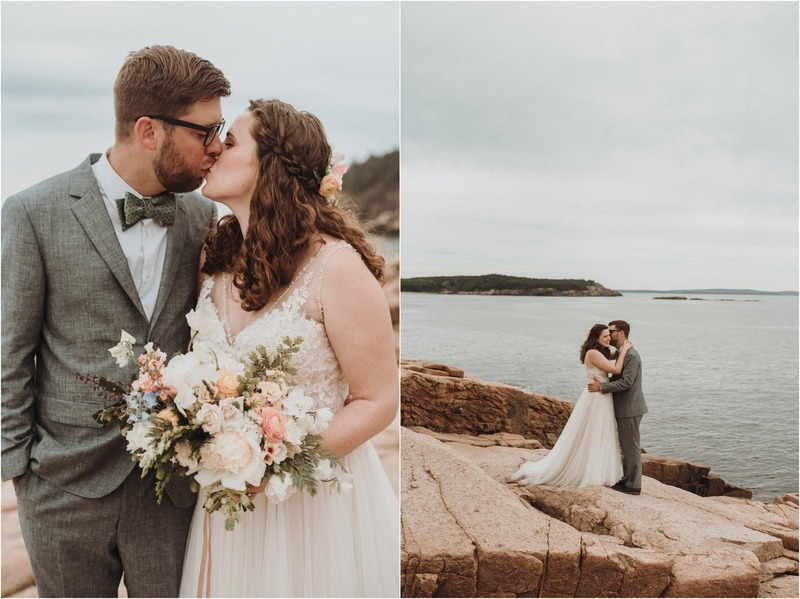 I have photographed at Camp Beech Cliff before, and absolutely love the atmosphere and proximity to Acadia National Park. 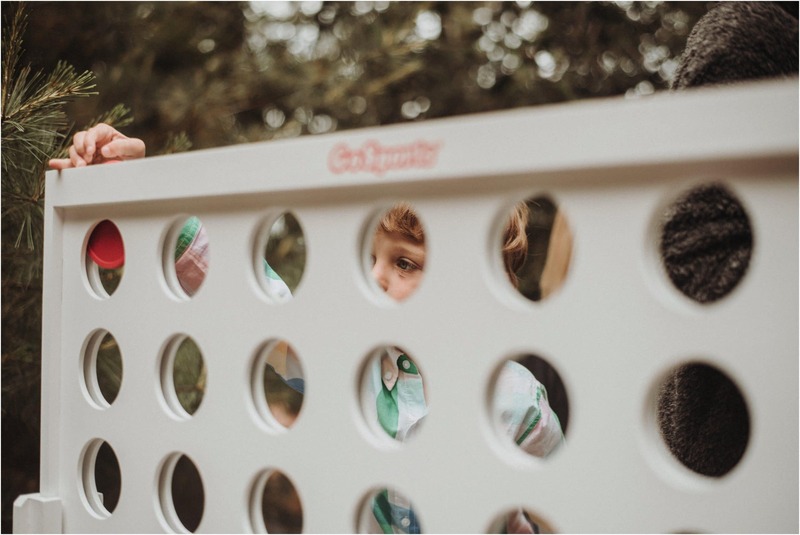 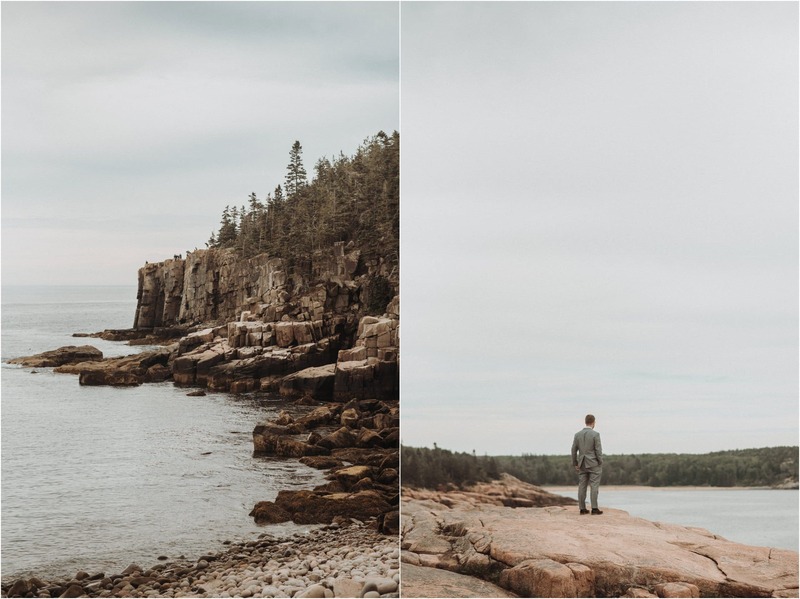 Tim and his family hadn’t ever been up to Maine, so Amelia took them hiking on her favorite trails and exposed them to one of the places that truly embodies Maine. 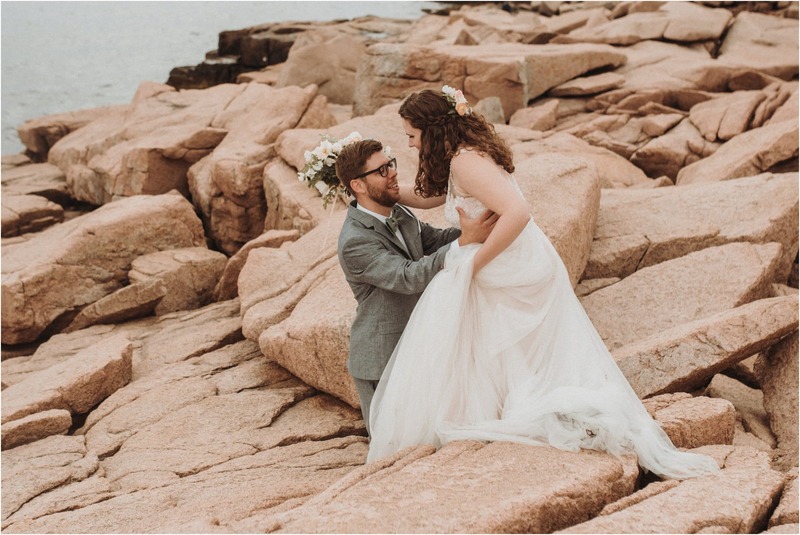 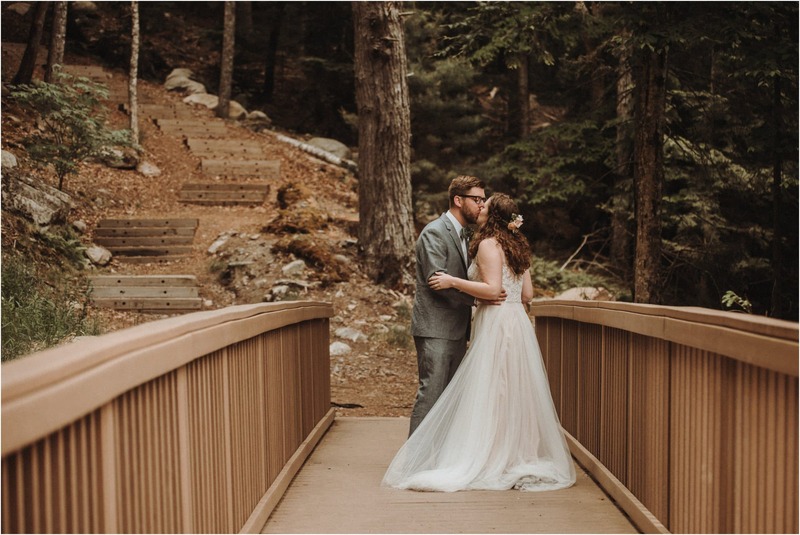 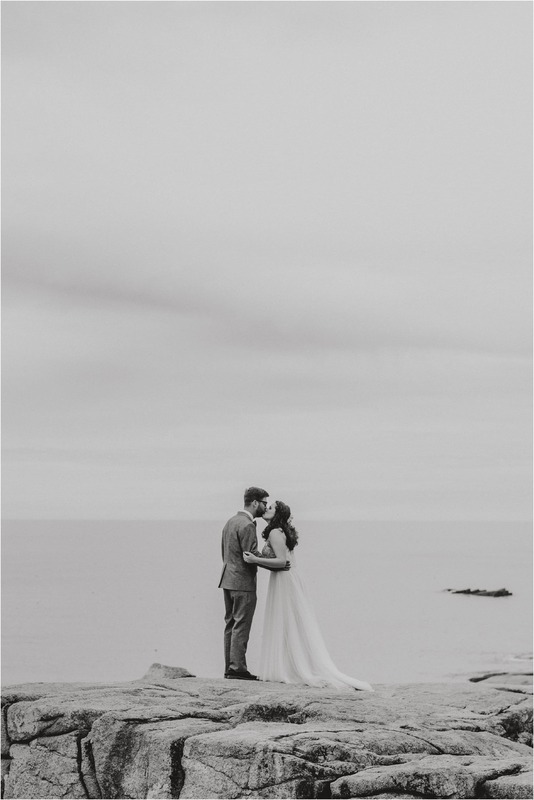 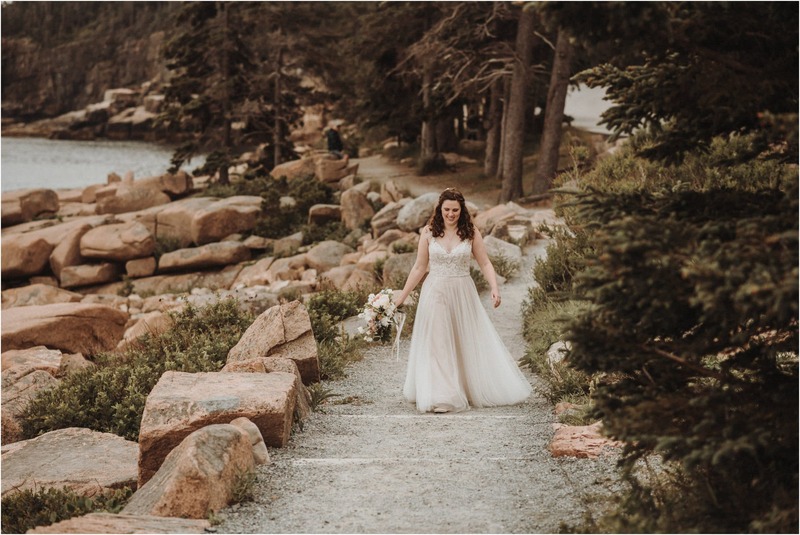 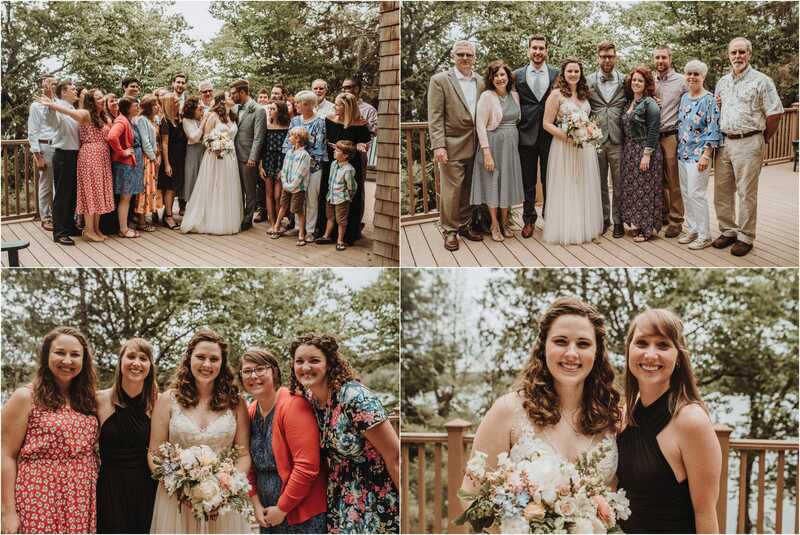 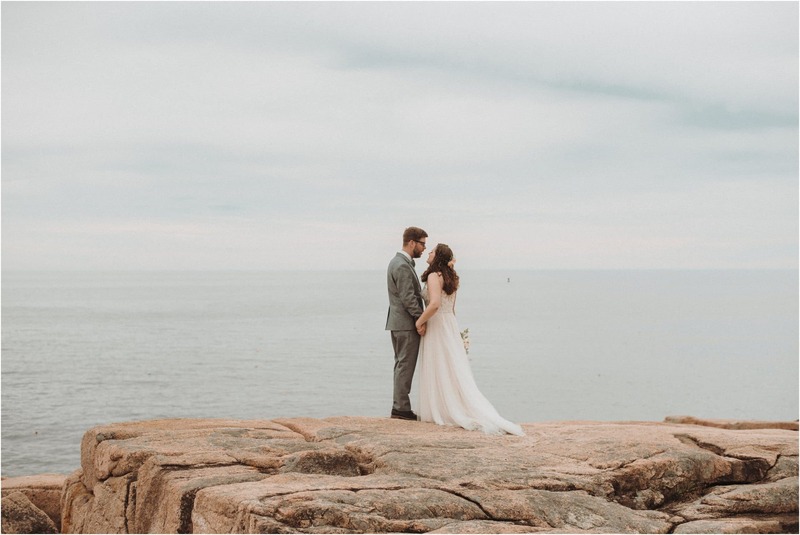 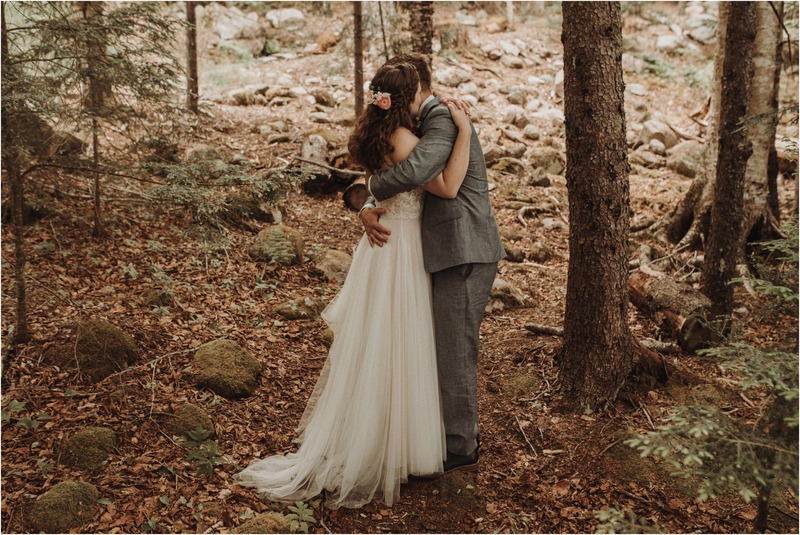 The couple chose a first look at the beautiful Otter Cliffs, one of the most picturesque spots Acadia has to offer. 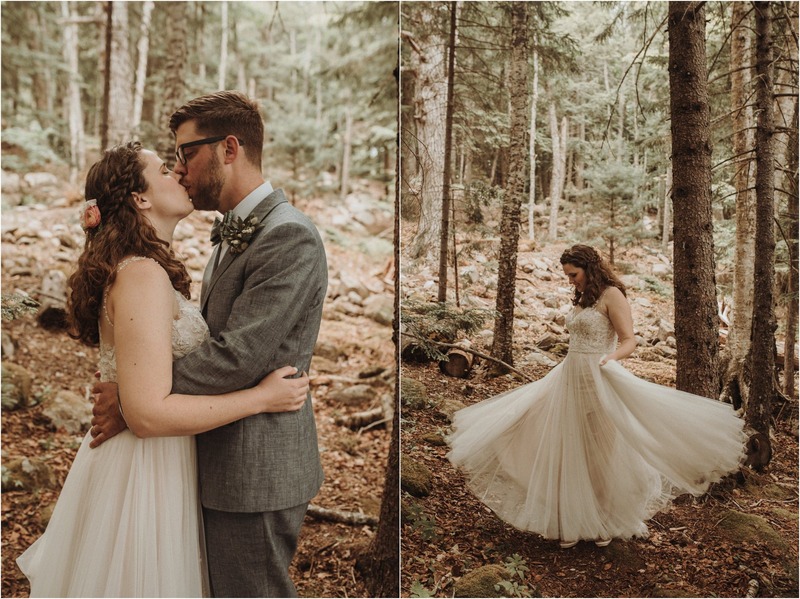 With no cell service and foggy skies, Amelia and I jogged down the road to find her future husband. 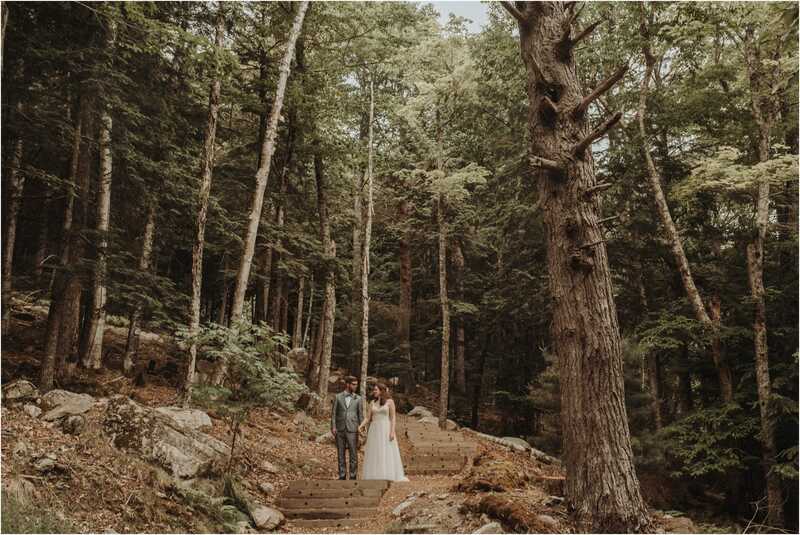 Once we were within sight he was pretty easy to find though, being that most people don’t hike in a suit. 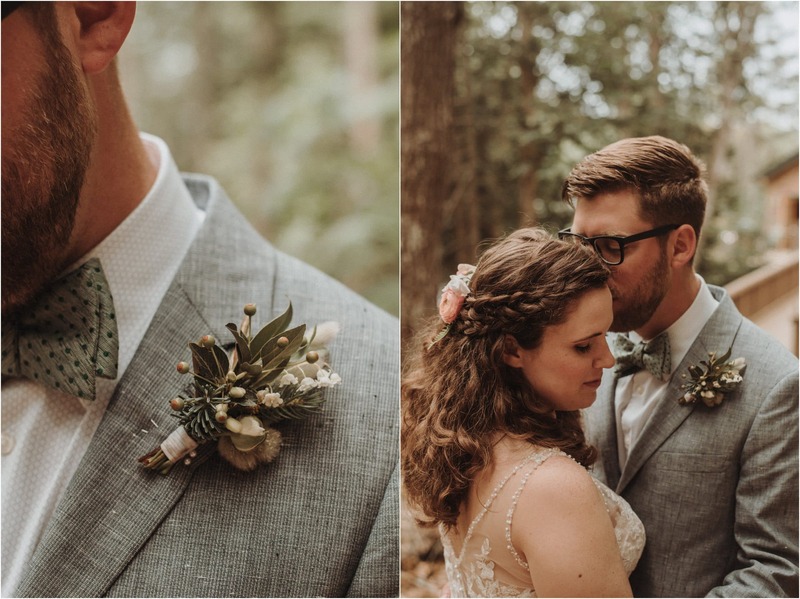 It was such a special moment, and after running through the Park, seeing each other to ease the nerves may have been the best move of the wedding day. 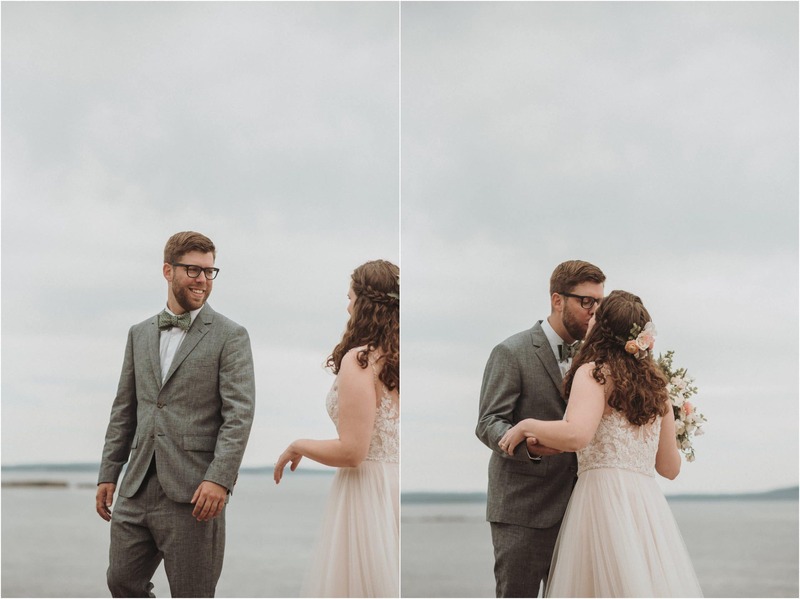 We returned to Camp Beech Cliff for a quaint ceremony on the deck of one of the cabins. 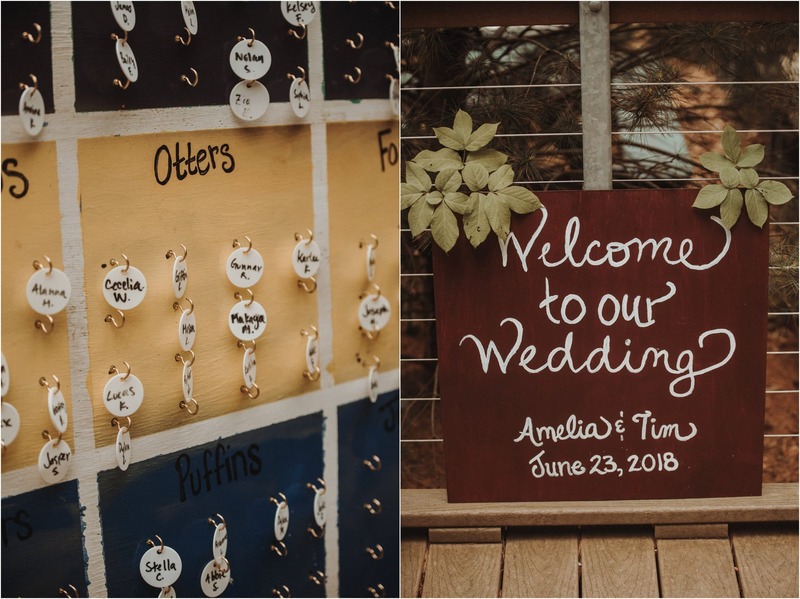 Tim is a pianist and had played and recorded a song for Amelia to walk down the aisle to. 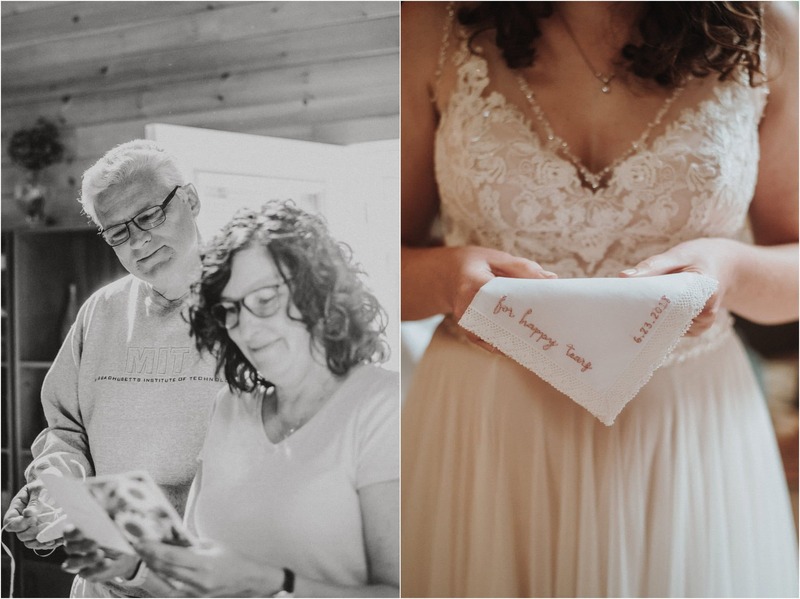 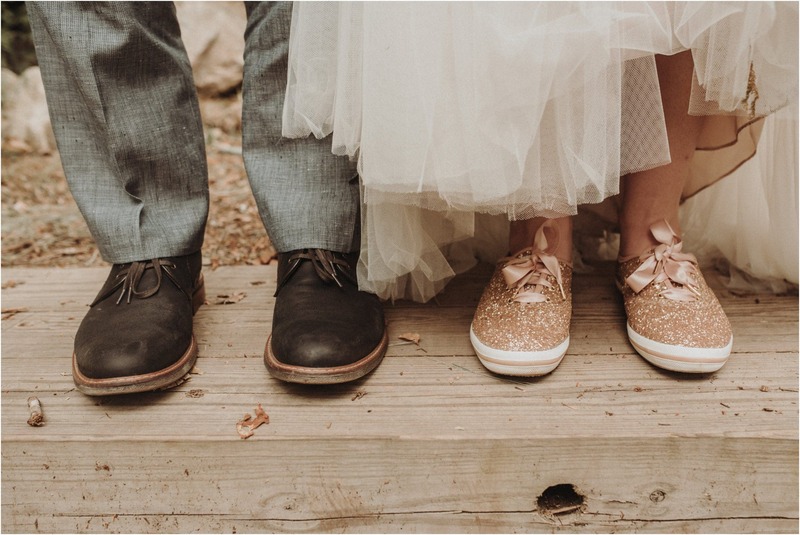 Both parents walked each of them in, which was a sweet and meaningful touch. 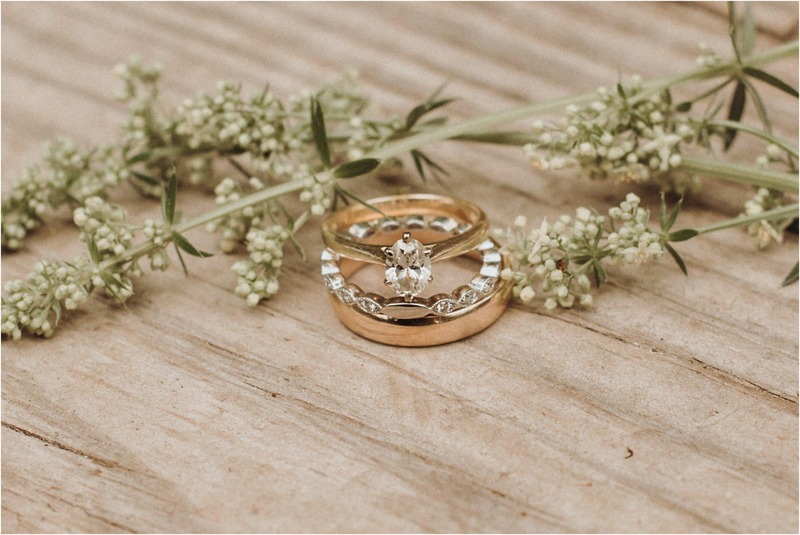  The closest family and friends looked on as the two shared vows and rings. 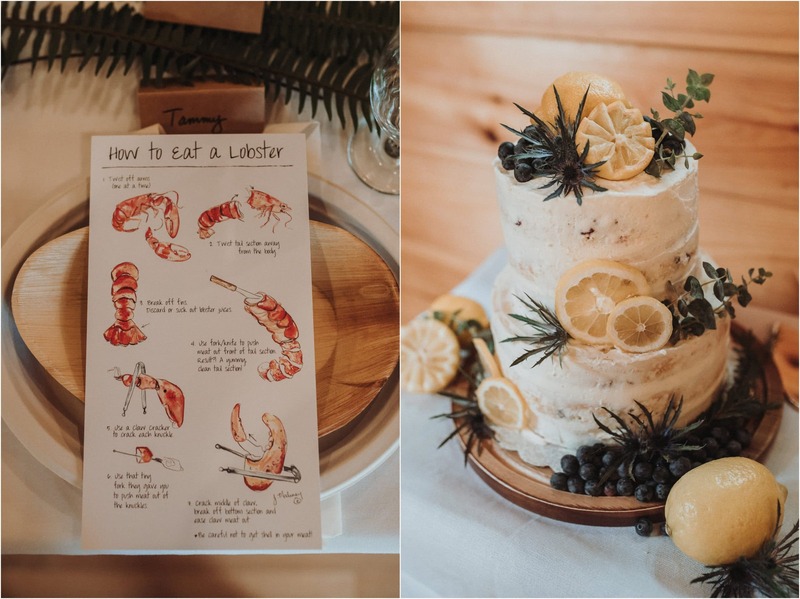 Next was LOBSTER! 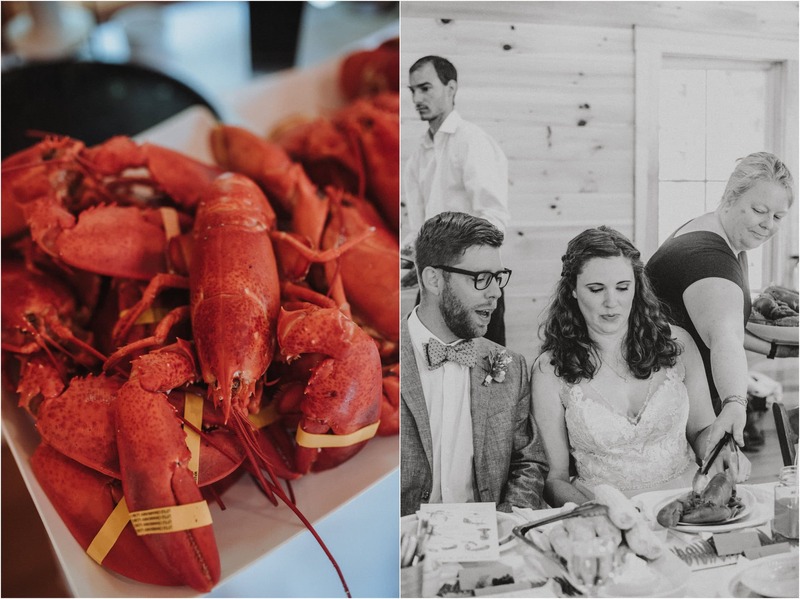 Guests were treated to a good ole’ Maine lobster bake and watching people figure out how to crack one open was so fun. 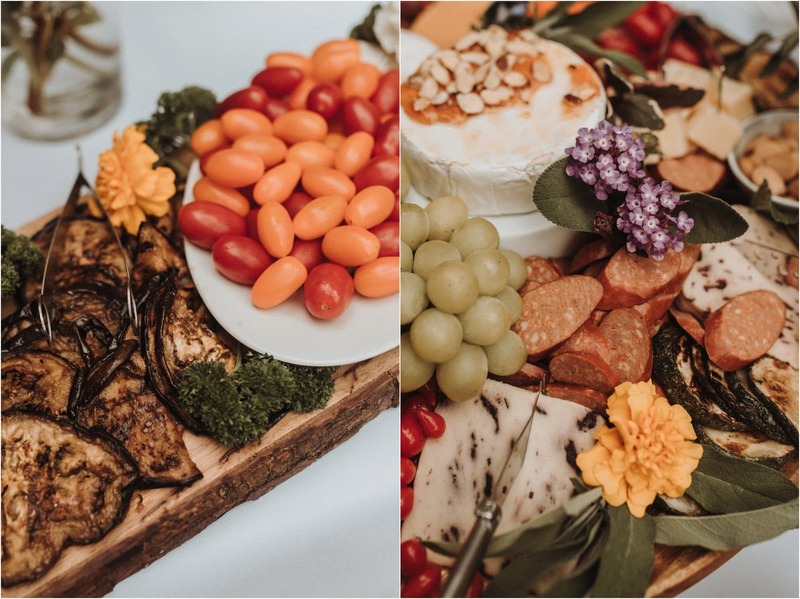 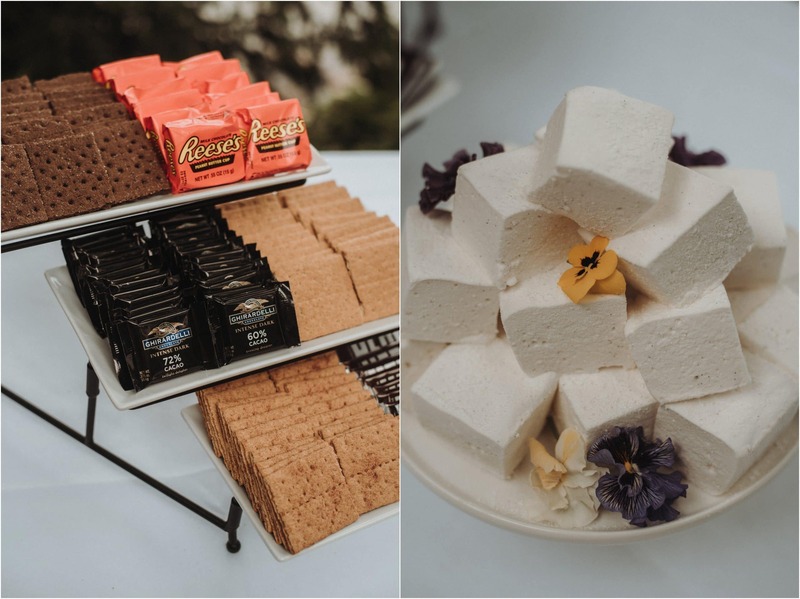 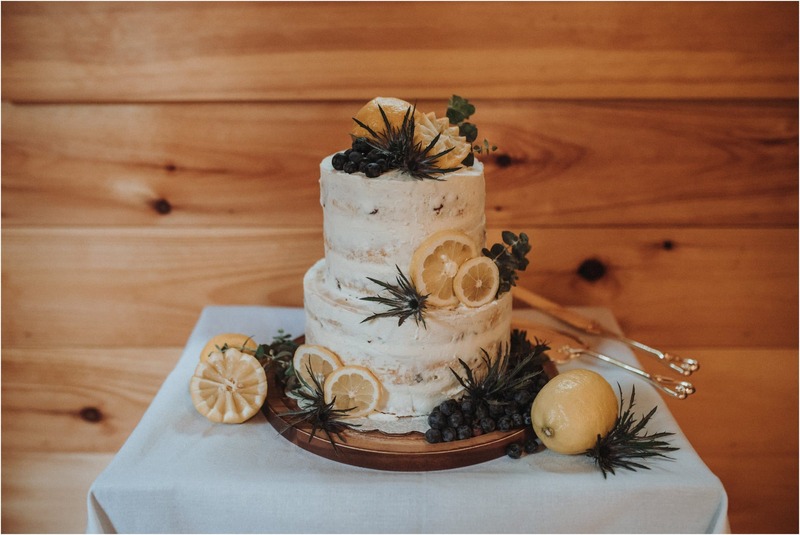 Indulge Cakes + Cupcakery created the most “Maine” and gorgeous cake I’ve ever seen, and the whole meal by Clark Point Catering was so delicious. 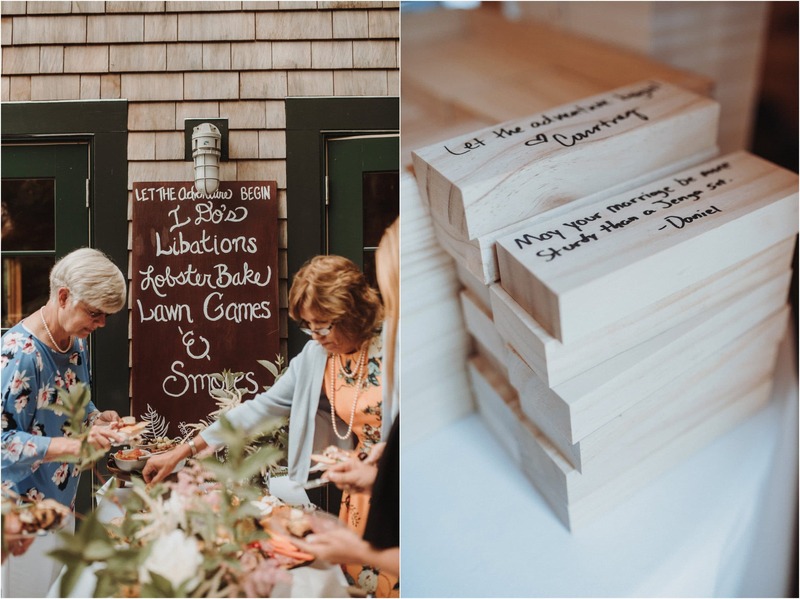 We finished off the day with lawn games and toasting marshmallows, the greatest ending to a truly Maine experience of a wedding day.